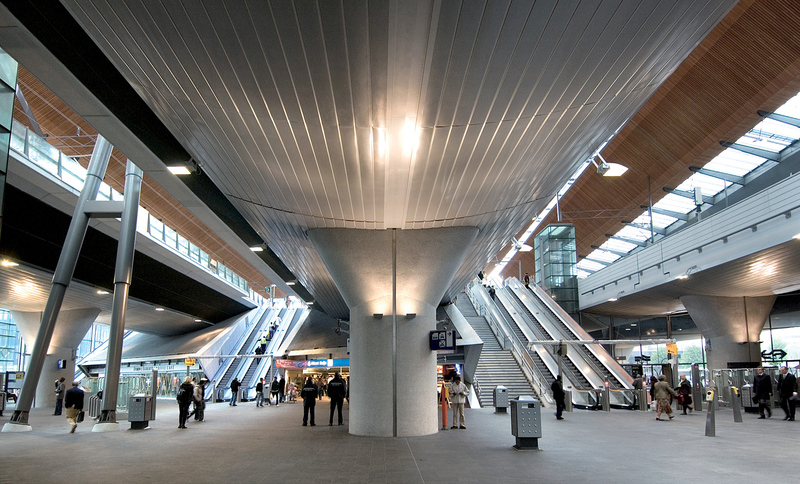 Station Bijlmer is an integrated transit hub, consisting of rail, metro and bus services located in the Bijlmermeer neighborhood of Amsterdam, the Netherlands. 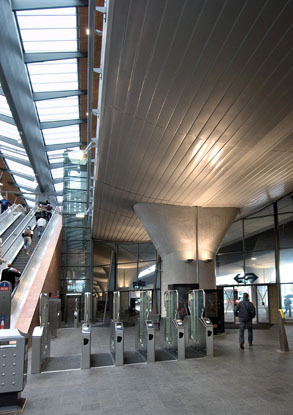 The station arches over the Arena Boulevard. The complex is almost 100 meters long, 70 m wide and 30 m tall. "See and be seen" was the architect’s unique starting point of the building’s design. The main characteristic for the new station is transparency. It is mostly transparent, to blend in with the rest of the Boulevard. 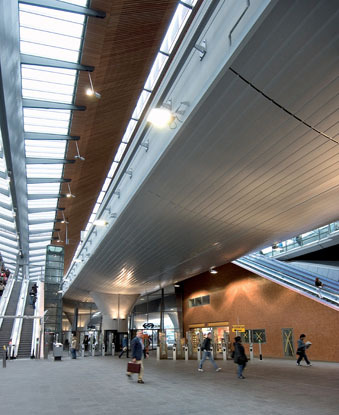 The beautifully designed roof is 200 meters long with a height ranging from 20 to 30 meters. Abundant natural daylight enters through the large expanses of glass giving the passengers a good view, comfort and sense of security. 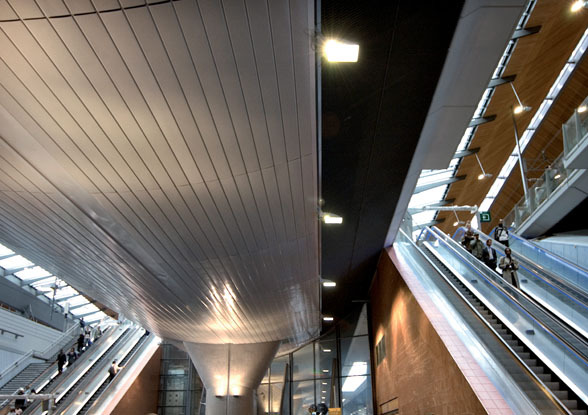 The station is topped off with Wide Panel metal ceilings, by Hunter Douglas.